If you’re looking for a fast, easy and secure way to make deposits and withdrawals at your favourite online casino, look no further than Neteller! E-wallets like Neteller have gained huge popularity in the online gambling world, and for good reason. They offer a way to get around some of the fees associated with credit cards and other online banking methods, and they’re accepted at the vast majority of internet casinos. Keep reading to learn more about how to use Neteller to move money on and off your online casino account, the fees and average wait times associated with different kinds of transactions and some of the benefits and drawbacks of choosing this online payment processor. We’ll also give you a rundown of Neteller’s company history and why you should feel secure choosing it to take care of your online gaming deposits and withdrawals. Using Neteller to move money on and off your casino account starts with opening a Neteller account. If you already have an account set up, great. If not, visit Neteller’s site and start the sign up process. After you’ve entered your personal information you will have to verify your account and then connect it to your bank account, debit or credit card in order to start moving money. Neteller has a long history of working with online casinos so everything’s been set up to be really straightforward and convenient. If you run into any problems, Neteller has a 24/7 customer support department ready to help you figure things out. Safety and Security – Neteller has always highlighted security as one of their main priorities and they’re big on using the latest and greatest online security technology. Using e-wallets always provides an additional layer of security since you don’t have to share any of your banking information with the online casinos. Your Neteller account is hooked up to your bank account or credit card via a super-secure connection, and the casino only ever comes in contact with your Neteller account. If safety and security is a priority for you it’s definitely worth looking into Neteller as an online casino banking option. Low or No Extra Fees – The truth is, moving money online almost always comes with extra charges. Using Neteller, however, can be a great way to get some savings on fees, or in some cases avoid them altogether. Unlike some of its competitors, Neteller doesn’t always charge you a fee for receiving money and they have very competitive fees for most kinds of payments and deposits. Check with your specific bank or credit card to see if they have any additional fees associated with moving money to and from Neteller e-wallet accounts. Fast Transaction Times – Under ideal conditions both deposits and withdrawals using Neteller should be instant. In real life it’s often the case, however, that withdrawals can take a little longer. Some of the factors that affect withdrawal times include whether you made your original deposit using Neteller, if your account is already verified with the online casino and whether you’re attempting to cash out money that was received as part of a casino bonus. Customer Support – Neteller has 24-hour customer support which is great if you run into a problem. It’s great to have an additional avenue of support to work through any issues instead of only being able to deal with the online casino. Accepted at Most Online Casinos – Not every online casino accepts Neteller but it’s always a good sign when it does. The vast majority of reputable online casinos accept it so make sure to research your specific casino when deciding where to sign up if you plan to use Neteller to do deposits and withdrawals. Benefits Beyond Online Casinos – In addition to offering fast and easy online gambling transactions, Neteller is accepted at online vendors all over the internet so it can definitely come in handy for lots of purchases beyond funding your online casino account. Once you have your Neteller account set up, verified and linked to your bank account, debit or credit card, depositing money into your online casino account is really easy. Just go to the cashier on your casino website and find the deposit options. Choose Neteller and then enter all the relevant information. As long as your Neteller account is working properly and your casino accepts it as a form of deposit, you should be done and playing with your money in seconds. 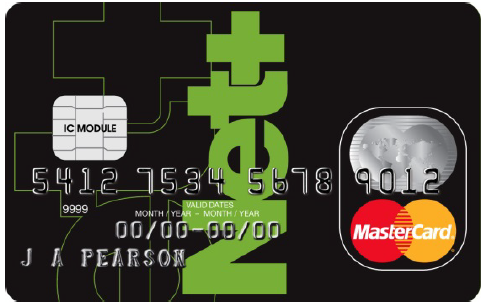 Another way to use Neteller to make deposits is to sign up for their proprietary Net+ Card. Similar to prepaid debit and credit cards, the Net+ Card allows you to load funds onto a card and then make purchases and deposits at all kinds of different stores and services both online and in real life. Net+ Cards are issued in partnership with Mastercard and can also provide benefits when you want to withdraw money from your online casino account. More on that in the next section. Neteller is a great way to get money into your online casino account but what about when it’s time to withdraw your winnings? Luckily Neteller has you covered there too, and it can be a lot cheaper than some of the other available banking options. Just go to the cashier and select Neteller as your withdrawal option. If you used Neteller to fund your account to begin with, the withdrawal process will be eased. If you used a different method to get money onto your account, there is no reason for concern. Just be ready for the casino to ask for some additional information to make sure the account belongs to you. This is done for your own good since neither you nor the casino wants anyone except you to be able to withdraw your funds. And if you sign up for the Net+ Card, withdrawals can be even easier. Sometimes withdrawals with Net+ cards can take a couple days but the security is top-notch and in some cases it can provide additional savings over withdrawing directly to your Neteller account or by using other banking methods. Neteller was originally founded in 1999 and started processing online gambling payments the following year. The company quickly made a huge impact on the online casino industry. Up until around 2005 they reportedly handled 80% of the world’s online gaming transactions which represented 95% of Neteller’s revenues. A large part of Neteller’s customer base was in the USA. In 2007 Neteller was forced to exit the American market as a result of the Unlawful Internet Gaming Enforcement Act which sought to crack down on payment processors handling transactions between Americans and off-shore online gambling sites. In 2014 Neteller returned to the US market, offering its e-wallet and Net+ Card services to Americans once again. Over the years, Neteller has joined forces with other online payment processors to form the larger company Paysafe Group PLC. In August, 2017 it was announced that Paysafe would be sold to a consortium of Blackstone and CVC Capital Partners for £2.96 billion.